Due to increased metabolic requests, pregnancy can be considered as metabolic stress, especially if associated with oxidative stress triggered by disbalance of pro/antioxidants. 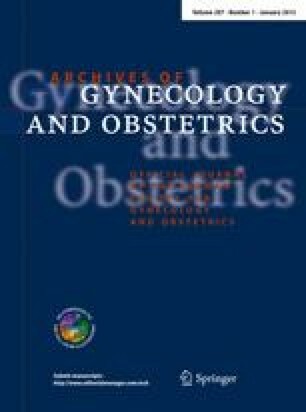 The aim of the study was to determine serum concentrations of the trace elements iron (Fe), zinc (Zn) and copper (Cu) important in growth regulation and pro/anti-oxidant homeostasis, in relation to the total serum oxidant capacity (TOC) and total serum antioxidant capacity (TAC) in pregnant women with preeclampsia (n = 30) or with gestational hypertension (n = 30) and in healthy pregnant women (n = 37) and non-pregnant women (n = 30) as control groups expecting common differences between all pregnant women and controls and between preeclampsia and the other pregnancies indicating specific disbalance of the oxidative stress and analyzed trace elements. Serum Fe was determined by spectrophotometric method, Cu and Zn were determined by atomic absorption spectrometry, TOC was determined by Enzymatic ANTIOX-CAP assay and TAC by Peroxide-activity assay. Serum Cu and TOC were significantly higher while Zn was lower in all pregnant groups regardless of hypertensive disorders. Serum Fe and TAC concentrations were found to be significantly higher in pregnant women with preeclampsia compared to pregnant controls. Increase of TOC in all pregnant women our study points to latent oxidative stress in pregnancy. Fe might have a role in etiopathogenesis of preeclampsia while the increase of TAC in the very beginning of preeclampsia might represent a stressdefence mechanism of the body. It has still to be revealed whether significantly higher serum Fe levels are associated with preeclampsia as a cause or as a consequence of this disorder.